1. 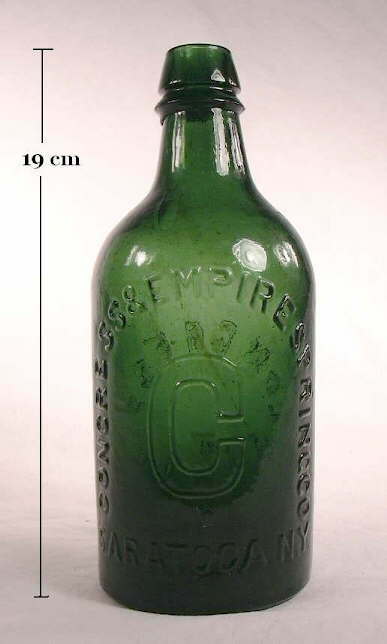 The primary intent of this website is to discuss the historical details of glass bottles produced in the United States - and to some extent Canada - between approximately 1800 and the 1950s. 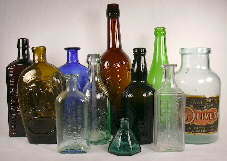 This site does not attempt to comprehensively discuss foreign made glass bottles although there were numerous parallels in other parts of the world in regards to the timing and use of the manufacturing techniques discussed on this site which are the basis for the dating parameters. Since foreign made bottles are very commonly found in the United States (and Canada) and very commonly encountered on historic sites, some typical foreign bottles are pictured and described on this site. 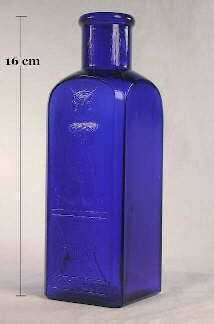 For example, the case gin bottle pictured to the right dates from the late 19th century, originated in Holland, and is also commonly found on North American historic sites as well as in many other parts of the world. (This particular example was acquired in Malaysia by the authors brother Randal Lindsey.) The need to keep this website reasonable in size and to concentrate on the historic bottles which are most common in the U. S. forces this narrowing of scope, as well as the fact that information on foreign glassmaking is much less available to the author. 2. 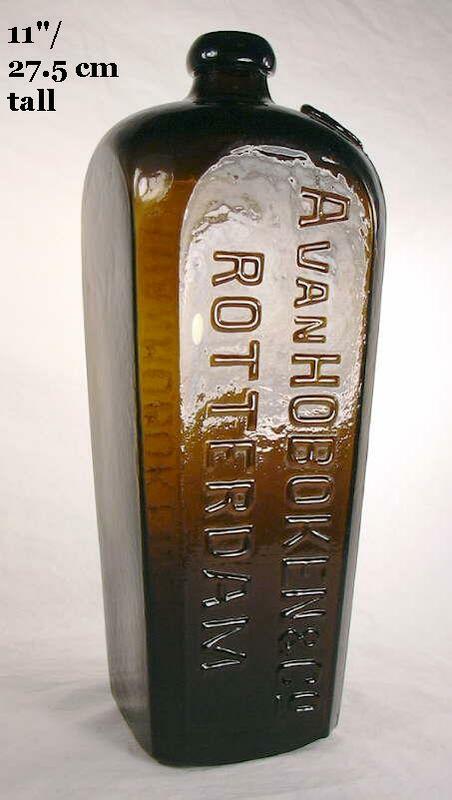 This website does not discuss the monetary value of historic bottles nor generally the rarity of items as its purpose is educational, concentrating primarily on the goals noted on the Homepage of historic bottle dating and identification (i.e., typology). Rarity and value are loosely connected attributes; viewers need to consult the plethora of collector based books and websites for this type information. Rarity is occasionally discussed on this site within the context of the probability of items being found during cultural surveys and as it relates to dates of manufacture, e.g., rare items were usually produced for a short period of time and vice versa. 3. The information presented on this website does not represent the specific views or policies of the Society for Historical Archaeology (SHA) or the Bureau of Land Management (BLM). The information within this website is believed to be as properly researched, accurate, and reliable as the currently available literature allows, though there is much currently unknown about this complex subject. Much is simply lost to history. Ultimately the information presented here represents the views and opinions of the author of this site who accepts full responsibility for content and quality. This Historic Glass Bottle Identification and Information Website was - and continues to be - prepared by Bill Lindsey, Rangeland Management Specialist (retired) with the BLM in Klamath Falls, Oregon, with encouragement and sometimes assistance from those noted below. As the author, designer, and content manager of this site, I take sole responsibility for all errors, omissions, shortcomings - and hopefully the good stuff also - found within these pages. I have tried very hard to make this site as accurate and reliable as possible, though it is inevitable that some will disagree with some of the interpretations and information, and that there will be some errors. Also, though I have a decent working knowledge of computers and web page basics, I am still a novice in that field. These pages were prepared using Microsoft's FrontPage 2002™. I've tried to make the pages consistent, workable, simple (as possible), and esthetically appealing but what is important to me is the content. I ask the user to please forgive my idiosyncrasies and novice web design features. I am open to all questions, comments, and verifiable corrections about content and suggestions about the website structure and design. These can be directed to me at the email link that is noted in FAQ #21. If you are asking yourself why a BLM Rangeland Management Specialist (Oregon State University - B.S. in Rangeland Resource Mgmt., 1979) is the developer and content manager for what is actually an historical archaeology related site - and outside his apparent field of expertise - you've asked a valid question. I have been a collector of historic bottles since I was a teenager - though that can mean something or nothing depending on what I did with my time. To that question, I have been an avid avocational student of historic bottle dating and identification for most of that time. I have assisted many archaeologists with bottle identification in my 30 years with the BLM and aided the late John Thomas with research on several of his highly respected publications dealing with Western liquor bottles. 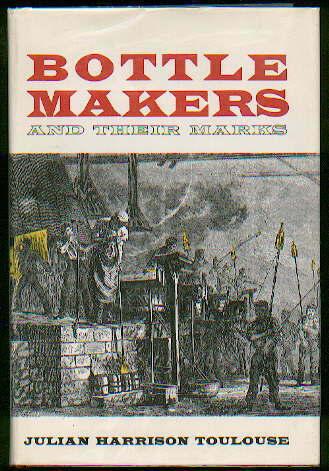 I also continue to assist with an ongoing series on glass maker history and makers marks which was originally being published in the Federation of Historic Bottle Collectors (FOHBC) publication Bottles and Extra's although it is now being published on this website as the Encyclopedia of a Manufacturer's Marks on Historic Bottles via the Bottle & Glass Maker's Markings page on this website. 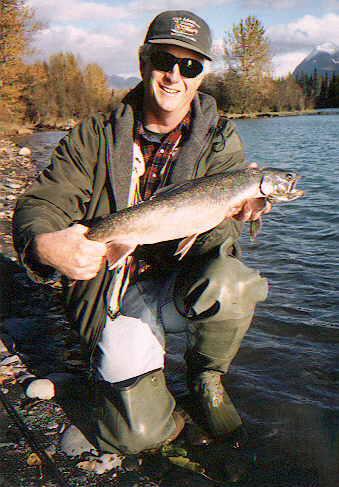 While actively employed, this website was a collateral "special project" in addition to my regular duties in the public rangeland administration and management world. I have expended even more of my own time and expense on creating this website - work which will continue indefinitely in retirement. It has all been well worth it considering the amount of use the site receives from all types of people around the world and the relatively recent (March 2007) inclusion of my website within the Society for Historical Archaeology website. Look at the pages within this website and judge for yourself as to its utility, legitimacy, and value. As the list of involved individuals below and the References page indicates, this website was not prepared in a vacuum. 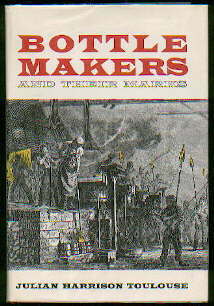 Bottle Makers and Their Marks by Julian H. Toulouse (1971) is a true "classic" in the field of bottle dating and determining manufacturing origin. It is reference works like this that helped build the foundation for this website. 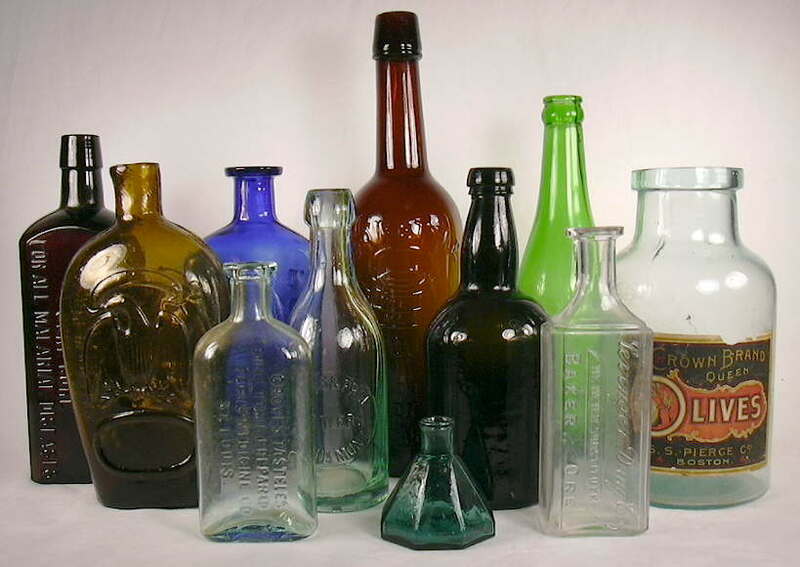 These web pages are a brief composite of an immense amount of previous work done on the subject of historical glass bottle dating and identification over the past half century - like Toulouse's' classic 1971 book pictured to the right. There is no way that all may be thanked or given the proper credit for their pioneering work in this field, though all of the published sources and references used in the preparation of this site are noted on the Reference Sources & Bibliography page. A special thanks must first go to Bill Lockhart, Professor (retired), New Mexico State University at Alamogordo, NM. Bill is the author of many different historic bottle "e-books" (now hosted by this website; see the Links page) as well as a plethora of other publications in and out of the field of historic bottles. He has acted as a volunteer consultant in providing various input and review into portions of this website. 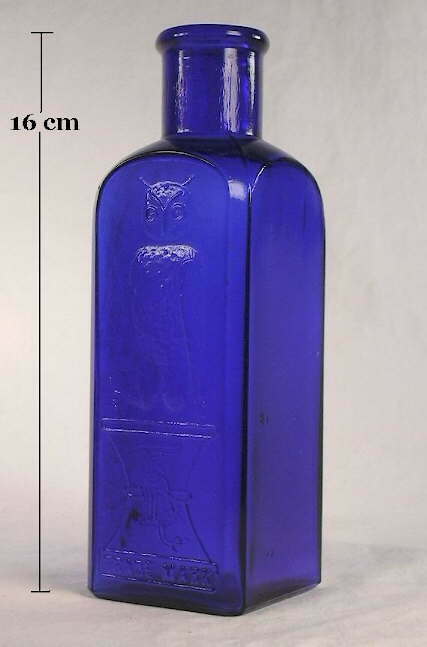 He has also contributed scores of research articles to the field of glassmakers and their markings, many of which are linked to the website as printable "pdf" files; see the Bottle & Glassmakers Markings page. He is also the driving force behind the Encyclopedia of a Manufacturer's Marks on Historic Bottles noted above which is also hosted on this website. Bill will continue to be actively involved in this website into the future with a special emphasis in the fields of bottle makers marks, 20th century glass manufacturing in general, as well as soda, milk, and beer bottles. His encouragement and support from the beginning has and continues to be most appreciated. Bill is also a guiding light in our very active Bottle Research Group (BRG) which is pursuing many different avenues in the world of bottle makers marks, history and glass making technology. The BRG currently consists of Bill Lockhart, Dr. Peter Schulz (Senior Archaeologist [retired], California State Parks, Sacramento, CA. ), Carol Serr (Archaeologist, Laguna Mountain Environmental, Inc., San Diego, CA. ), Bernard ("Beau") Schriever (Archaeologist, Colorado), and myself with occasional input from David Whitten (collector & glassmaking historian, Clarksville, IN.). Many bits of information that enhance the depth and detail of this website are the direct result of the constant discussions between the group members, though this discourse is also assisted greatly by the kindly input and questions from scores of others outside the BRG who constantly catalyze new discussions or rejuvenate old ones. The BRG has been and continues to be the primary consulting experts that the website author relies most heavily on. Special thanks must also be extended to Peggy Corson (CorsonArt@aol.com) for the exceptional professional illustrations which are scattered throughout this site. Her dedication and flexibility in preparing the necessary art in the form of many high quality illustrations was beyond the normal call of duty. Thanks Peggy! A big THANK YOU must also be extended to Dr. Rebecca Allen, Dr. Kelly Dixon, and Dr. Chris Merritt of the Society for Historical Archaeology (SHA) for so graciously and efficiently facilitating the move of the Historic Bottle Website (HBW) to the SHA servers in March 2007 and where it is envisioned to reside indefinitely. Incorporation of the HBW into the SHA website has been a major milestone for the HBW paving the way for continued enhancement and additions by the author in retirement. ...and last, but not least, much thanks must go to my wife Kathy Lindsey (writer/editor/planner with the BLM, Klamath Falls, OR. [retired]) who was - and continues to be - the editor of this large website and test subject for the clarity and utility of the information contained herein. Much gratitude is also expressed for her pleasant and cheerful forbearance of the significant change to our lives (including less fishing) that my pursuit of this project has induced upon us for many years. -Allen Agnew, Web Manager (retired), BLM, Oregon State Office, Portland, OR. -Heather Bernier, Supervisory Natural Resources Specialist, BLM, Klamath Falls, OR. -Barbara Ditman, Supervisory Natural Resource Specialist (retired), BLM, Klamath Falls, OR. -Beth Gustas, BLM Web Publisher, NSTC, Denver, CO.
-Richard Hanes, Archaeologist, BLM, Oregon State Office, Portland, OR. -Sarah Johnston, Archaeologist, U. S. Forest Service (retired), Fresno, CA. -Dr. Cecil Munsey, Author & educator (retired), Poway, CA. -Dr. Gordon Pollard, Professor, Department of Anthropology, State University of New York, College at Plattsburg, NY. -Teri Raml, Field Manager, BLM, Phoenix Field Office, Phoenix, AZ. -Dale Wedel, Archaeology Specialist, Office of the Wyoming State Archaeologist, Laramie, WY. ...and some acknowledgement is in order to a couple people I've never met (though have corresponded with) but whom were important to the (eventual) creation of this website. I would like to acknowledge Ronald Deiss (now an archaeologist, Army Corp of Engineers, Rock Island, IL.) who's 1981 Master's Thesis entitled "The Development and Application of a Chronology for American Glass" provided a spark for the eventual pursuit of this project though I didn't know it at the time (1982) I originally read his thesis. This was long before the world wide web really existed as the incredible public information forum that it is today. I would also like to acknowledge the contributions of Richard Fike, retired BLM archaeologist who, though not involved with this website, was a pioneer in the field of bottle identification and dating and its practical applications in federal land management activities. I would also like to thank my various BLM supervisors, managers, and web managers over the past few years for allowing me the privilege to take on this project and facilitating its original placement on the World Wide Web. The process of determining the age and/or use of any given historic bottle is like the workings of a court of law: the outcome or solution is determined by the preponderance of evidence pointing towards a particular conclusion with the level of confidence in that conclusion proportionate with the amount and reliability of the supporting evidence. I'll try to help you if I can, though it may take a while to answer depending on my other projects of the moment (being retired doesn't mean I have endless time!). I may also forward the question on to those who may be more knowledge about the subject inquired about and have expressed a willingness to receive such queries.